CreaTiff Chatter: Let's Talk About Music: VH1 Celebrates NEW EDITION 25 Years w/ Weekend Long Video Specials. VH1 Celebrates NEW EDITION 25 Years w/ Weekend Long Video Specials. Tiff: Truly a New Edition supporter's dream weekend. 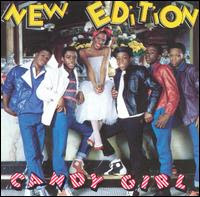 VH1 Soul brings you the premiere of "Soul Story: Bobby Brown"
of New Edition's debut album Candy girl. "Soul Story: Bobby Brown" and "New Edition Weekend"
NEW YORK, NY April 17, 2008 – In celebration of the 25th Anniversary of New Edition's debut album Candy Girl, VH1 Soul presents "New Edition Weekend," a weekend full of special programming and videos by the Boston bred boy band. Bursting onto the scene in 1983, New Edition became a pop phenomenon when they were discovered by writer/producer Maurice Starr, in hopes of launching a Jackson 5 phenomenon for the '80s. 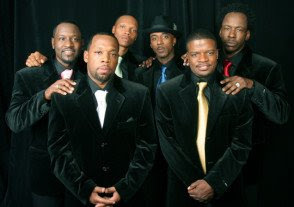 The New Edition story continued to reach new heights with several solo projects from various group members, including break-out member Bobby Brown, the self proclaimed "King of R&B." Bobby broke from the group in 1986 and rose to R&B superstardom as a solo artist. The weekend will include the VH1 Soul premiere of "Soul Story: Bobby Brown," which celebrates the solo career of Bobby Brown through a timeline sequence of his videos, along with a new and never-before-seen interview, on Friday, April 25 at 7PM*. "New Edition Weekend" premieres on VH1 Soul Friday, April 25 beginning 8AM*. Melanie, THANKS a million times for getting this info to me.